I know it’s still too early for some of you, so just bookmark this and come back later. ;) I just want to get the information out for all you early gift planners! 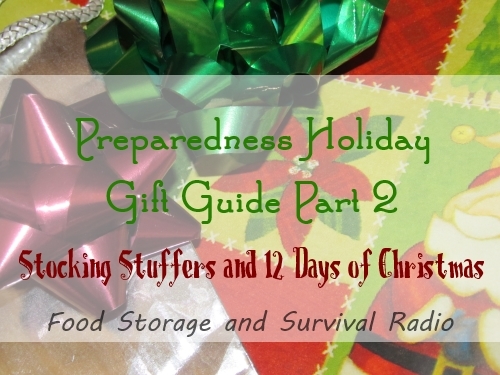 In our second episode dedicated to preparedness gifts for the holidays we cover preparedness stocking stuffers and the 12 days of Christmas food storage and preparedness gear style! Plus, how you can use gift opportunities to receive some of the prep gear you are wanting. 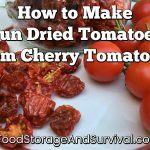 Have you received preparedness items for holidays? What were your favorites?